The University of Louisville Department of Medicine has launched a free, open access, internal medicine online resource, LouisvilleLectures.org. 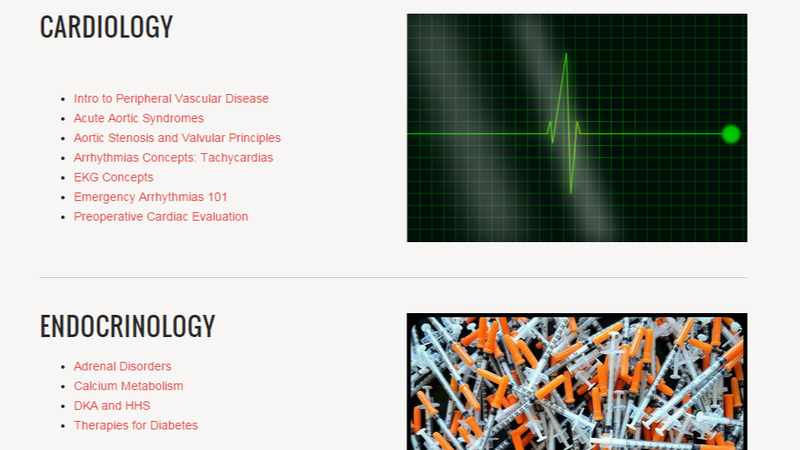 The resource provides free evidenced-based medical education lectures that are available to anyone. There are over 40 lectures available online with more to come. They are all videos and hosted on YouTube. Much of the material will be too advanced more high school, but some courses could use them and teachers can adapt it to fit their classes. Topics include Cardiology, Endocrinology, Gastroenterology, Emergency Medicine, Hematology, Infectious Diseases, Pulmonary and much more.